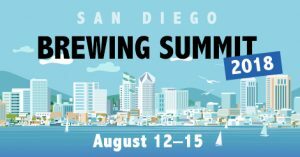 Precision Fermentation will be exhibiting at Brewing Summit 2018, August 12-15, in San Diego. This year’s conference is being jointly presented by the Master Brewers Association of the Americas and the American Society of Brewing Chemists, and promises to be a great event for exploring new craft beer tools, networking and connecting with the best and brightest in brewing science. With engineering insights, new developments in quality procedures, recipes to try, technical sessions, networking events, and more, there are plenty of opportunities to advance your scope of technical knowledge at this year’s meeting. Precision Fermentation will be in booth #719, so if you’re attending, please stop by and say hello to the team. We’ll announce real-time fermentation monitoring demonstrations and giveaways soon!